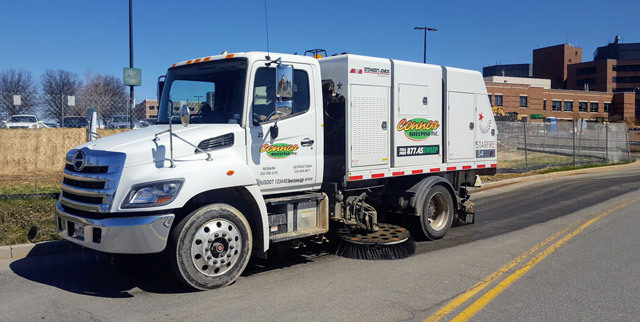 Connor Sweeping, Inc. provides street sweeping services throughout the entire state of Delaware as well as in adjacent communities in Pennsylvania, Maryland and New Jersey. With depots in Newark and Milford Delaware, we are ideally positioned to service our customers quickly and affordably. We service the home building industry, commercial, industrial and retail complexes, municipalities and heavy road construction including milling and paving. Since 2005 we have established a reputation for being responsive, dependable and flexible in our scheduling while maintaining the highest quality of service. With a strong focus on the unique needs of the home-building industry, we have acquired the knowledge and expertise to meet the special requirements of home builders and developers. Construction site safety and cleanliness involves regularly scheduled power sweeping. A good first impression is critical to potential home buyers. We can assist you in preparing the site for Open House and special sales events. A clean site is a reflection on the quality of your work and can make a difference in a competitive environment. Whether you are preparing for a critical inspection or sales event, contact Connor Sweeping to get ready for the big day. Connor Sweeping, Inc. is there to help, when you need it! 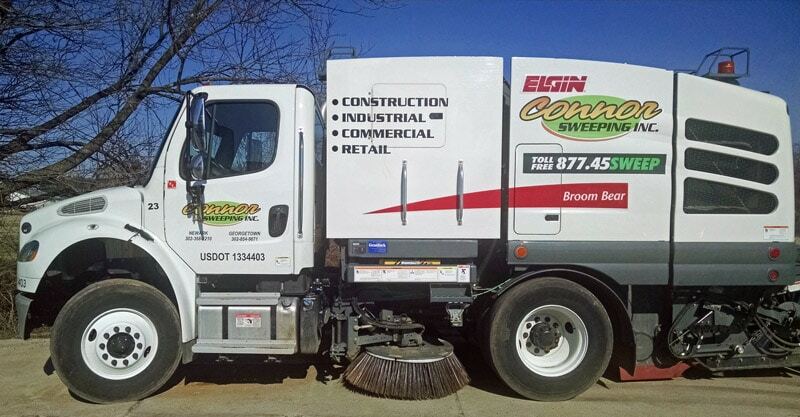 Connor Sweeping uses heavy-duty mechanical broom trucks to meet the requirements of the construction environment. Our updated fleet of state-of-the-art trucks assures dependable and reliable service. All of our trucks are equipped with dust suppression systems that help to provide a more thorough sweep as well as reduce unpleasant dust clouds. Dirt and debris from your roadway is swept up into large hoppers for transport to a suitable dump site. Our trucks are equipped with high dumps that enable dumping into a trash container or dump truck if required. Started in 2005, we have established a reputation for being responsive, dependable and flexible in our scheduling while maintaining the highest quality of service. Family owned and operated by Pat, Paul and Mike Connor, Connor Sweeping, Inc. is dedicated to upholding our reputation for excellence and provide a 100% customer satisfaction guarantee. We look forward to working with you to meet environmental, inspection, safety and aesthetic goals.